I love your kookaburra. It's quite an interesting looking bird. Fascinating bird, Stewart, and a very nice photo too! Of course I've never seen one. Interesting info also. Love the quintessential Australian bird whose mysterious call finds itself into the soundtrack of "B" western movies in the USA! Neat photo and I had no idea that they were kingfishers! A very majestic looking bird! I love the crest and the tailfeathers! Beautiful pattern! awesome! I love kingfishers (any kind!) and can never get photos of them. This kookaburra really let you get a beautiful shot! Beautiful bird, Stewart!! I had no idea they were kingfishers either! Hi Stewart, i love your Kookaburra. I have seen them in the zoo's but that is nothing like seeing them in person in the wild. Great shot, thanks for sharing. I have a Kingfisher that lives on our lake ... you would think I would have a million pictures of him, but NO. He moves so fast and half the time I don't see him, I just hear him making his funny noises. But, I love the Kingfishers ... including your Kookaburra. 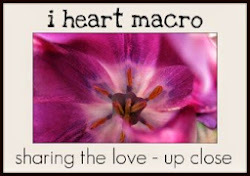 Love the picture, Stewart, and especially since you found it close to home. That could mean more pictures of him in the future, right? Great looking bird - look like a mix of all kinds of birds ! Nice shot ! A really lovely shot Stewart! 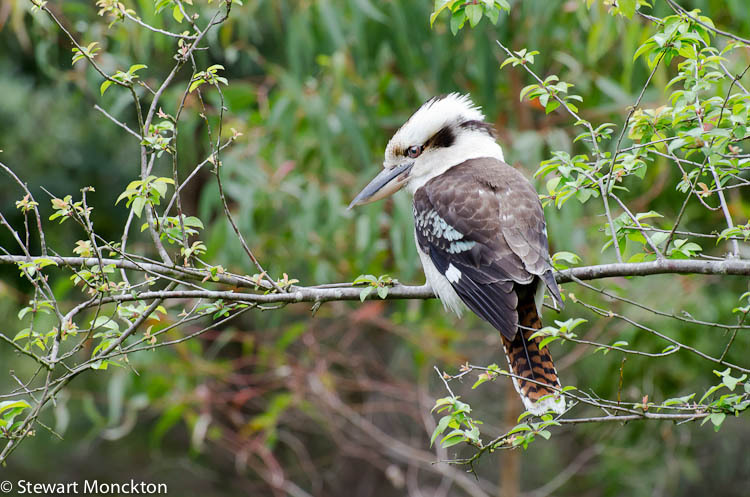 I remember singing singing at 4-H camp - "Kookaburra sits on the old gum tree, merry merry king of the bush is he, laugh Kookaburra laugh..."
We usually sang it in a round. I know the feeling! Those of us living in the city treasure those bits of "wild" we happen upon. I have heard the term Kookaburra, but never knew it was a bird! And quite a handsome (or lovely) bird it is! Interesting beak shape. Beautiful shot, Stewart!! I love Kookaburras. That's a stunning shot of a beautiful bird Stewart. I think it's always great to find a kookaburra - and if they are close enough to laugh you awake in the morning it's even better! love the name....Kookaburra --- it's a terrific looking species. And your lucky day; three of them! What an awesome find! I was thinking while looking at the picture that it's so similar to a kingfisher! Incredibly beautiful bird and I would imagine very difficult to capture. The kingfishers are very hard to get. 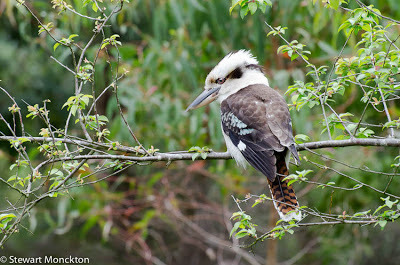 lovely shot of the Kookaburra, looks like a Kingfisher with Jay,s feathers on.Thanks for hosting W.B.W. too. I love that kookaburra! And wish I could see one sometime. Didn't realize it was a member of the Kingfisher family...we do have those. at first glance i thought it was a kingfisher. i just tried to take a picture of a kingfisher down by the pond and it flew off. :( i cant see the word kookaburra without breaking into song. beautiful creature. thanks for sharing. A fantastic bird to see Stewart.. and one that has Oz written all over it. The kingfisher is one regal fellow. I only have seen a kookaburra once, not in the wild. I realize that my parrot is not a wild one in this country but it is in your country, a bit of a cheat for me...so sorry! Well, I'm jealous of anyone who captures a decent image of any Kingfisher! I just chased several Belted Kingfishers around this morning and not one picture. I didn't realize they were kingfishers! What an awesome bird! And you got a GREAT shot! Great picture and thanks I didn't know that it is from the kingfisher family. What a great shot, Stewart! I love it. I love the little Kookaburra bird. Great shot! Thank you, Stewart, for the joke. And thank for your visits! Beautiful photo of the Kookaburra. That is a cracking shot Andrew. Yes, most birds don't need a lot, other than a few trees, a bit of water and plenty of food and they will find a home. I never associated the name kokaburra with a kingfisher. Strange! It is a very nice bird. Thanks for sharing.